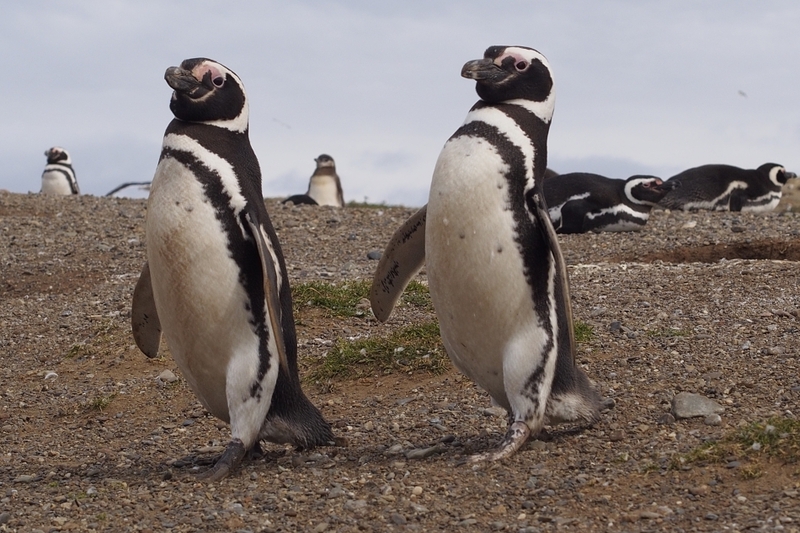 Before our evening flight to Santiago, we took an 8am ferry to Isla Magdalena in Magellan Strait to see the Magellanic penguins. 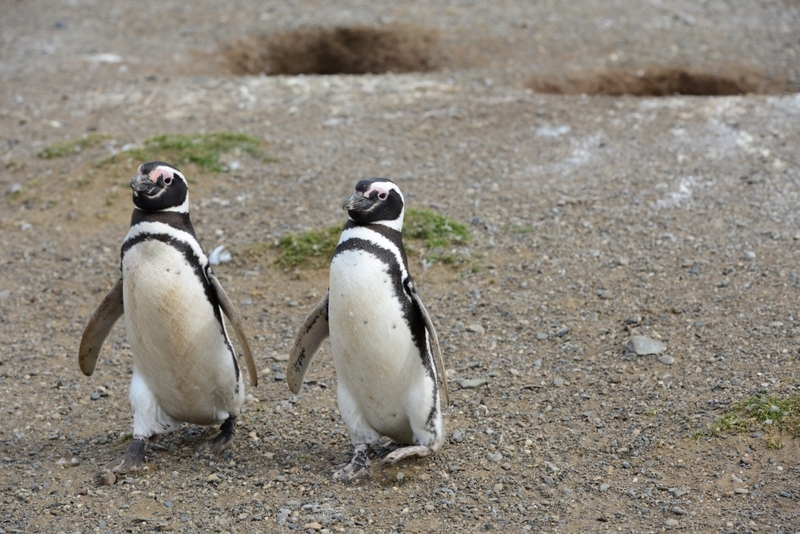 Isla Magdalena is a much bigger island compared to Isla Martillo where we first saw the penguins near Ushuaia. 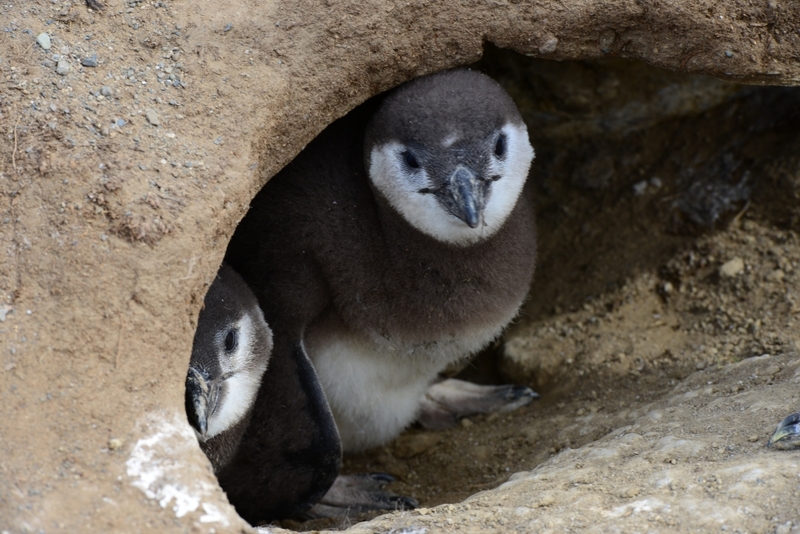 According to the guidebook, the Monumento Natural los Pinguinos on Isla Magdalena has approximately 60,000 pairs of breeding pairs. The ferry ride took about 1 hour and 45 minutes. 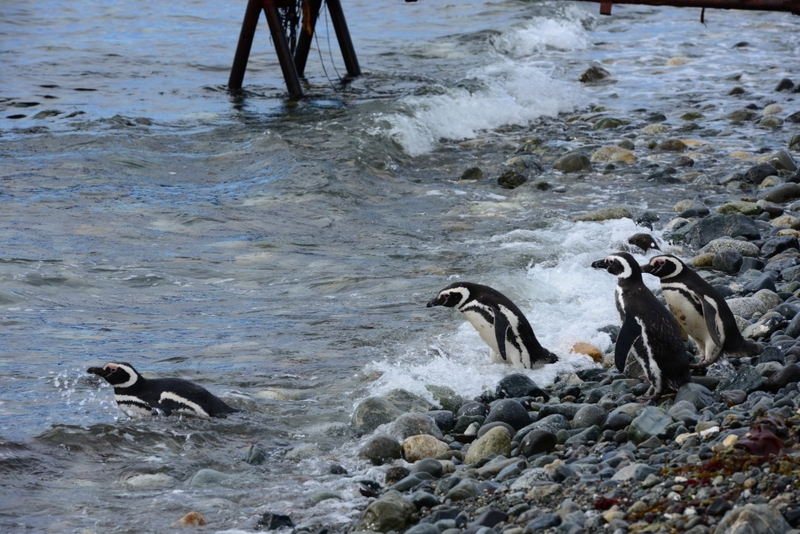 During the ride, we could see sea birds, a sea lion, and many groups of penguins in the water. 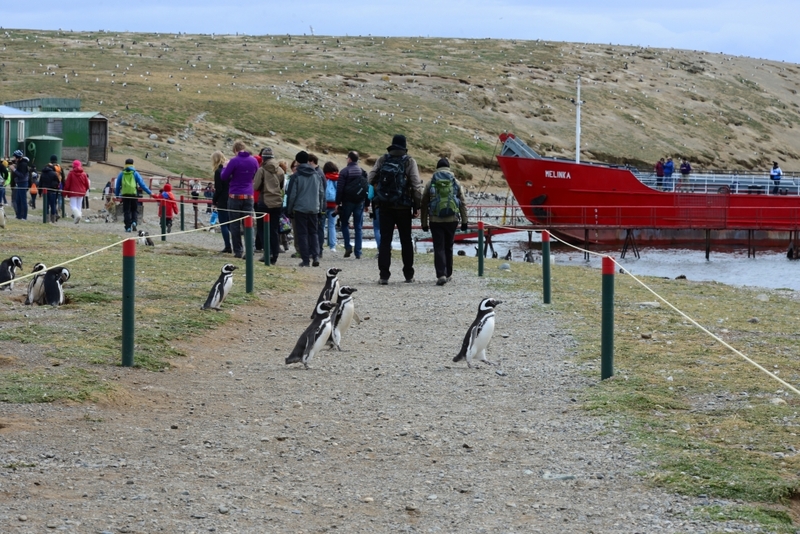 As the ferry docked at the beach of Magdalena, groups of curious penguins were only metres away. We got roughly an hour on the island. 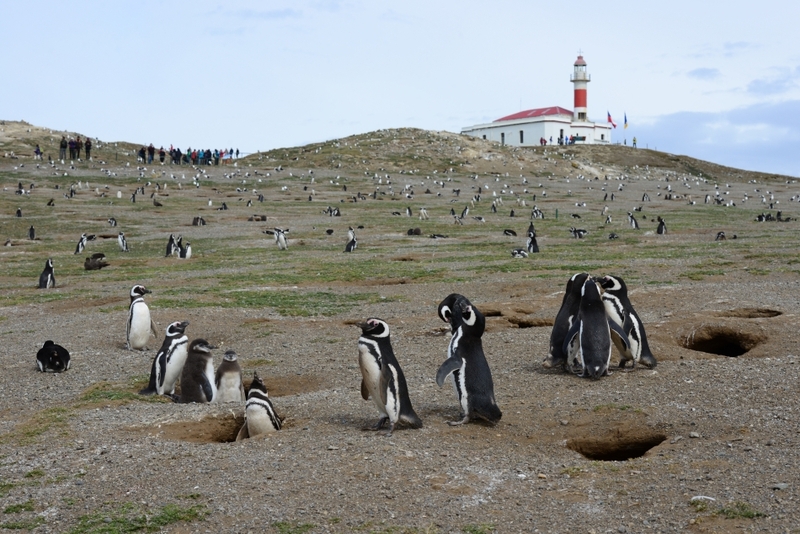 Everyone had to stay within a marked path leading to a lighthouse at the highest point of the island. 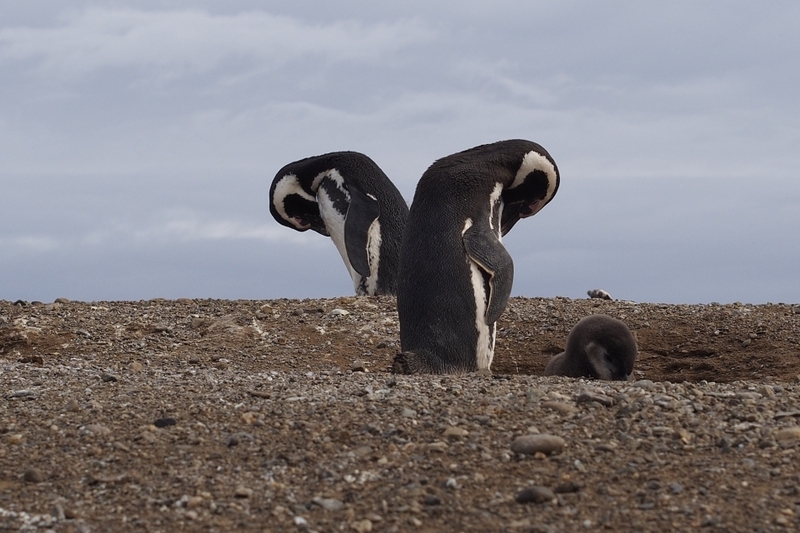 Perhaps there were too many tourists on Magdalena and too much camera clicking sounds, this penguin encounter didn’t feel as intimate as last time on Isla Martillo. Though this time we were lucky enough to see dolphins from the island. 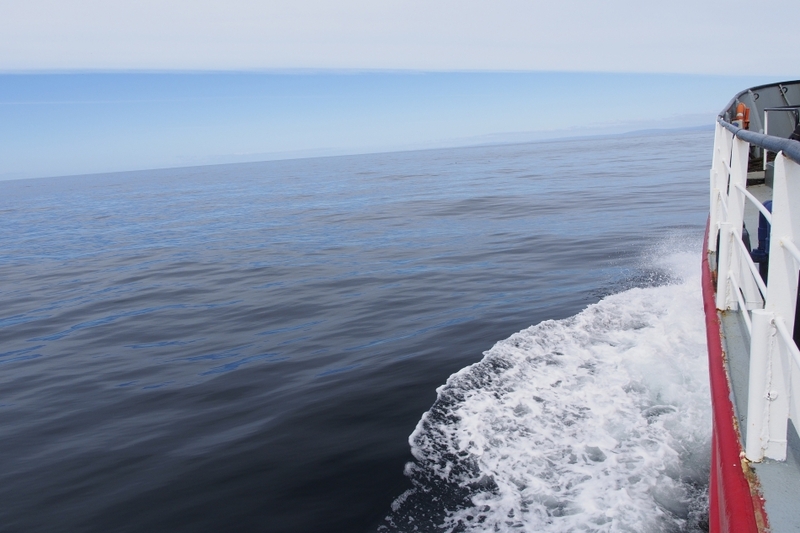 On our return, the sea was calm with shades of blue and grey, like a watercolour painting. We stood on the lower deck and quietly watched the sea and thick clouds moving over the horizon. 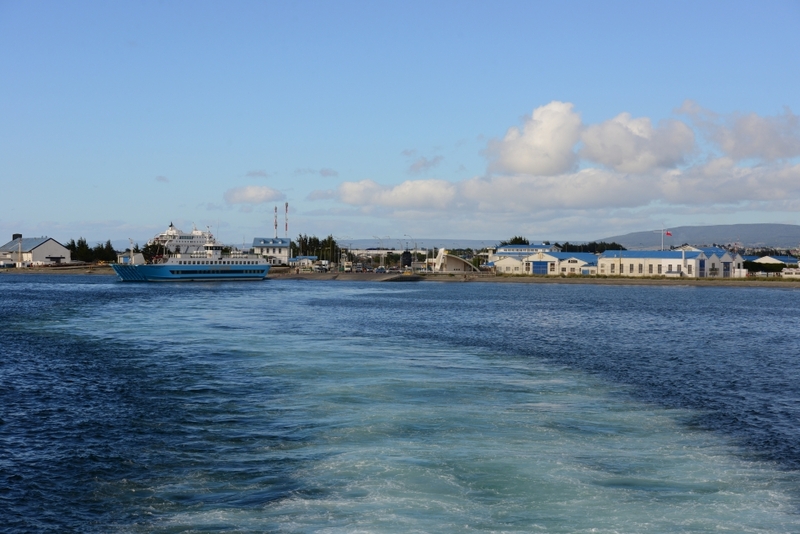 At 1pm we arrived back to the mainland.That’s it for us from Patagonia. 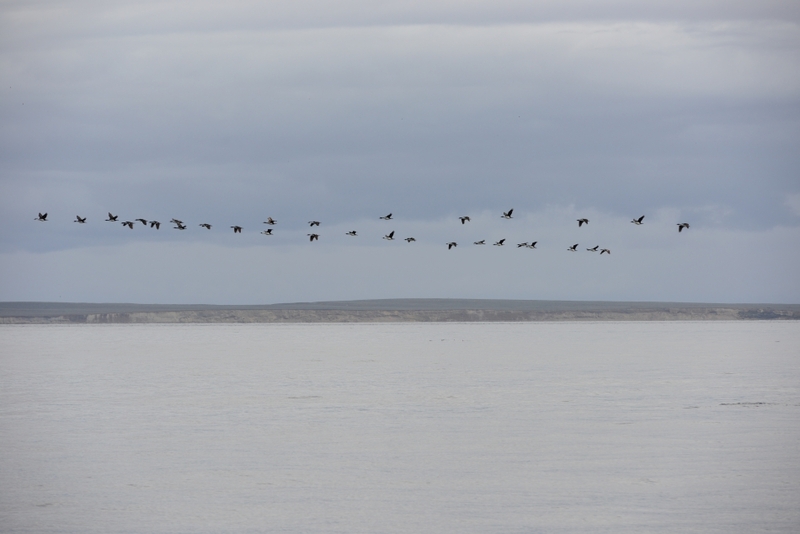 We have so much fond memories of Patagonia in the last few weeks. We will certainly miss this beautiful land. We know we will come back one day. 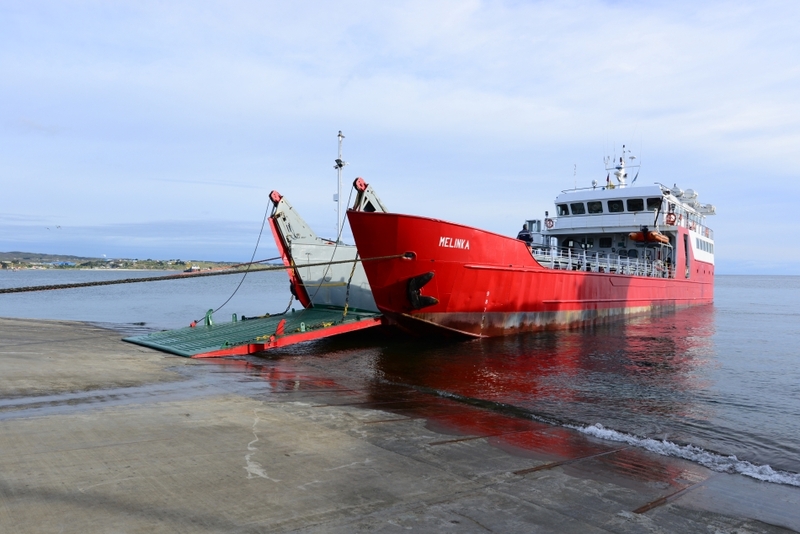 This entry was posted on January 1, 2014 by Blue Lapis Road. 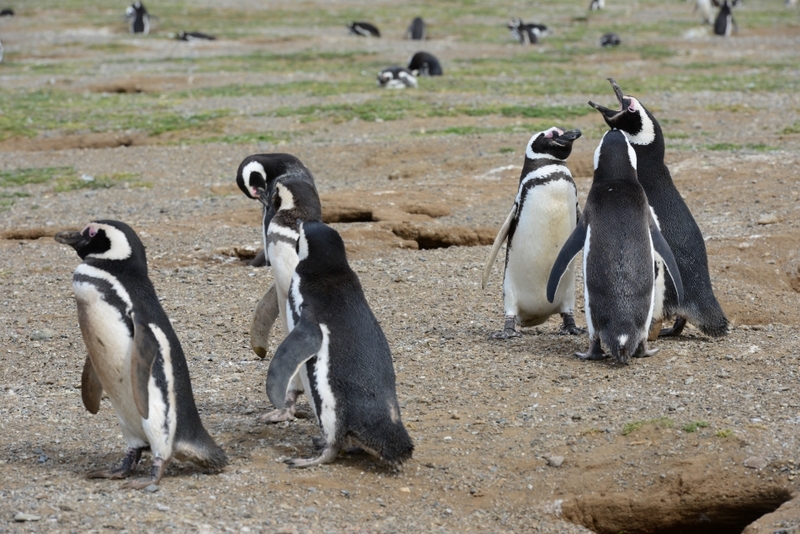 It was filed under Chile, Day 81 to 90, Patagonia and was tagged with Chile, destination, Isla Magdalena, island, journal, ocean, penguins, photo, Punta Arenas, south america, things-to-do, Travel, wildlife.